Beyond looking stylish, these shoes have a cultural importance, and the new Spurs-inspired sneakers will be no exception. 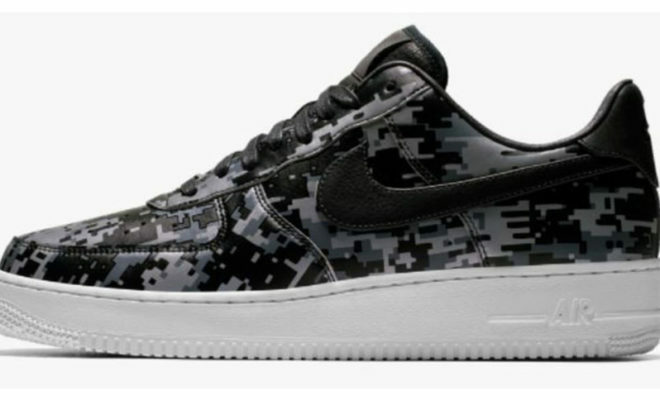 According to Fox San Antonio, Nike is making Air Force 1 IDs based on the Spurs’ City Edition jerseys. These special jerseys were made to honor San Antonio’s military residents, hence the gray and black camouflage design. The Spurs’ City Edition jerseys, found here on the official NBA website, were unveiled in late December last year. “The camouflage-patterned jersey tops and shorts were modeled after the U.S. Army Combat Uniform and honor the servicemen and servicewomen of the U.S. Armed Forces, many of whom have spent time in Military City USA during their careers,” they explain.